Arrange the props, ovation on cue, and curtains go up! 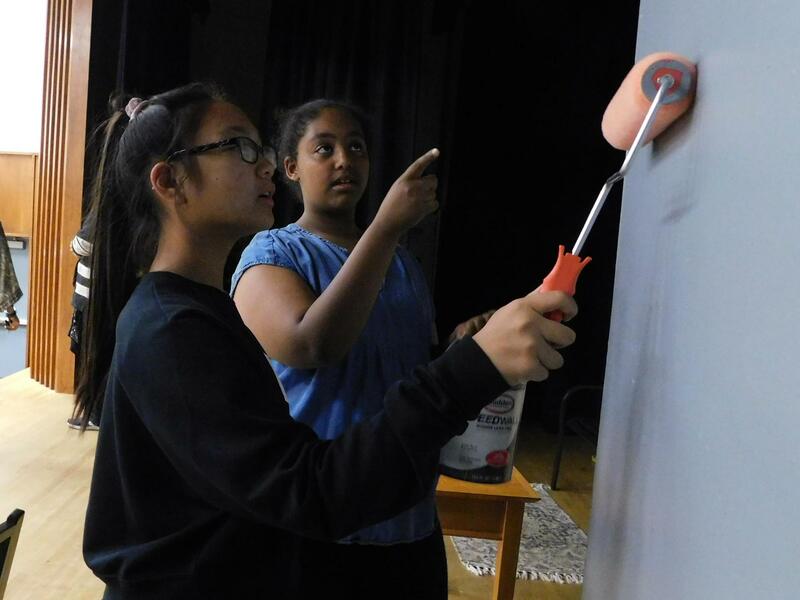 The First Avenue Middle School (First Avenue) Production class of 2019 has been preparing the whole semester for its upcoming play, “Out Of This World,” taking off this December 6 and 7 at 7 pm in the First Avenue auditorium. 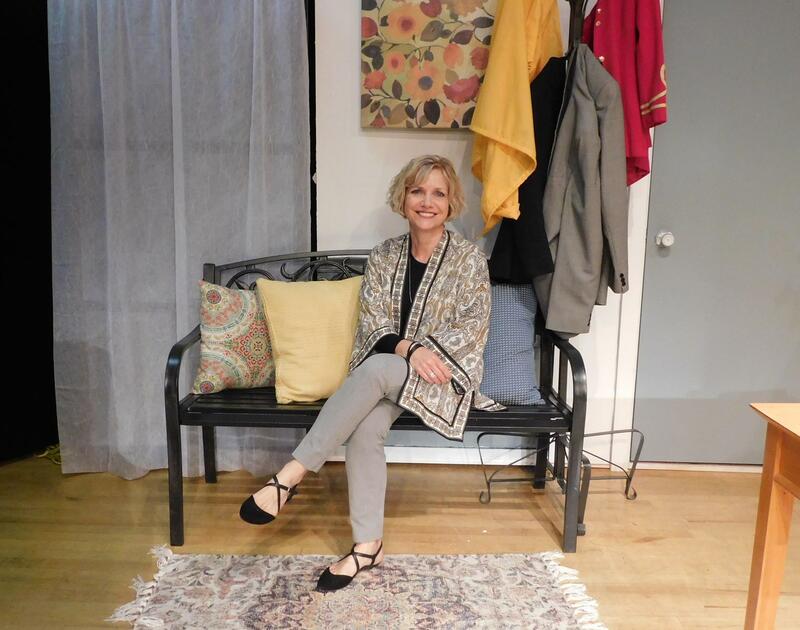 First Avenue theater teacher, Susi Reck, is not only the play’s director but plays an integral role in inspiring aspiring actors through teaching courses on the art of acting to First Avenue students in grades 6 through 8 whose passions are to express themselves on the stage. The theater program at First Avenue has four different levels. 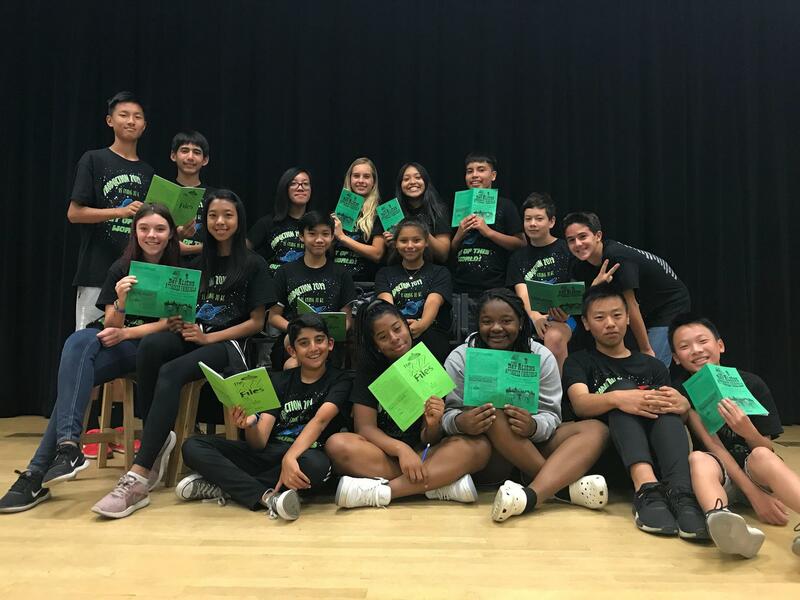 First, there is the Theater Exploratory Wheel, a quarter-long introductory class for 6th-graders who are interested in exploring acting. The next level is Theater Experience, a semester-long class for 7th-graders who want to dive deeper into thespian thought. 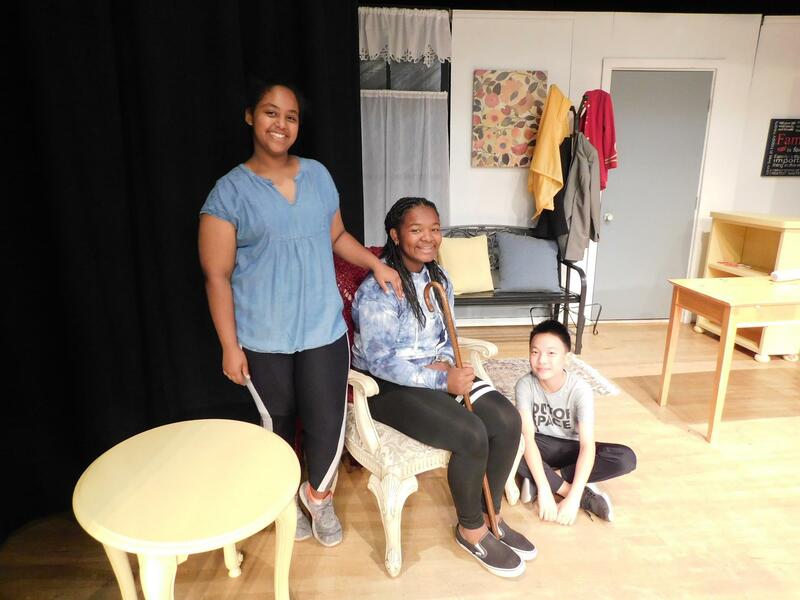 Following that is Theater Workshop for both 7th and 8th grade students who have taken Theater Experience and want to continue learning and gain foundational knowledge for what to expect in the capstone Production course; however, this class is not a requirement. The highest level course is Production. “Production is a semester-long, performance-based class for 8th graders that [have] completed ‘Theater Experience’ in 7th grade. The kids audition for the parts in the play during the course of the semester, and we do everything to produce a show,” explained Reck. First Avenue theatrical performances happen twice every school year, and each play calls forth a new cast as related to the new Production class group every semester. “I love watching my class become an ensemble. When they first enter the classroom, they’re all separate students, but as we go through all of the rehearsals for the performance, they begin to bond together. I love going through that process every year; it’s very exciting,” reflected Reck. This year, a lively plot will unfold on the First Avenue stage, complete with Sci-Fi, interesting intergalactic elements, and star-filled performances. “I've never done anything with aliens or spaceships, so it has been fun to think about what kind of lightning to use, what to do for costumes, and what aliens would look like. It’s an exuberant challenge. 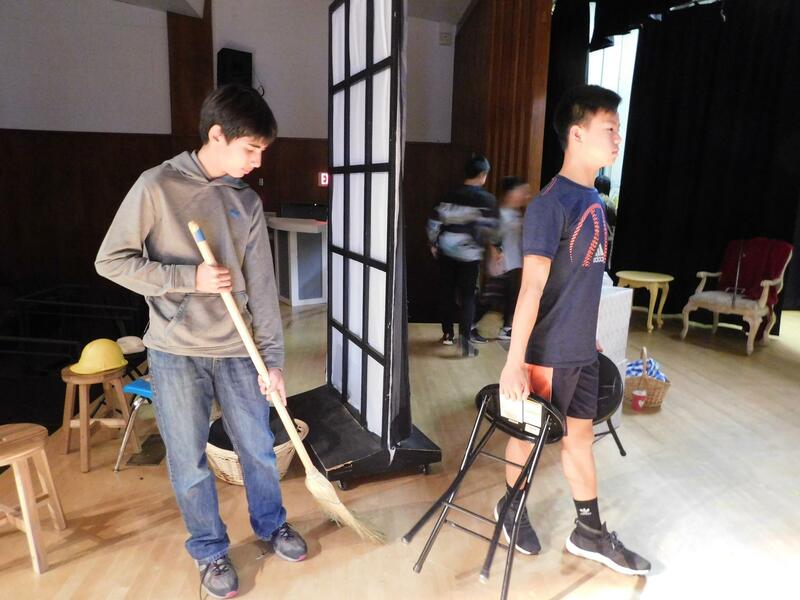 There is also a good message to this play, which is about accepting people who come from other places and encouraging others to get along,” stated Reck.